"The First Annual Flo Mo Food Truck Fest - to be held in Flower Mound, October 11, 2015. " For more information, visit their website or contact their event coordinator at carey.l.roberts@gmail.com / office@kolami-tx.org. This fee includes one 8ft. table and 2 chairs. We will do our best to accommodate electricity if needed. Fee also includes 1 child's wristband which allows access to the children's activities. All applications will be considered; however, they are specifically looking for one of a kind, unique items. For more information, visit their website or contact their event coordinator at edwards4750@sbcglobal.net. "Located inside Warren Middle School. 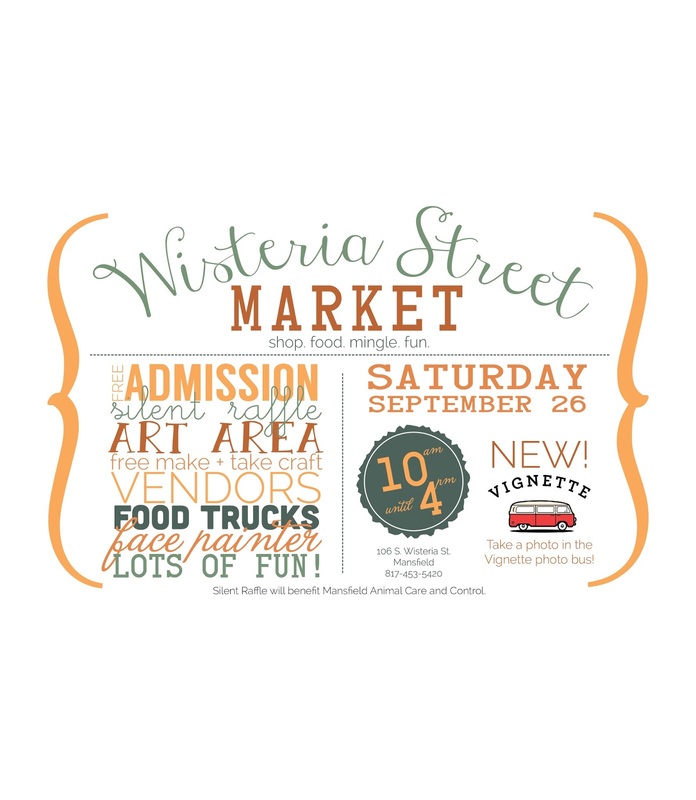 Jewelry, Boutique Clothing, Home Decor, Artisans and Crafters, Snow Cones, Pizza, & more! Plus meet Ninja Turtle Donatello!" "Kid Care Preschool fair. Come join us for our back-to-school night and be a part of our fair for our preschool families. We will have several different vendors and food trucks. " Booths are 8'x8' with one 6' table and 2 chairs for $25. Additional tables available for $10 each and electricity available for $5 per booth. For more information, contact their event coordinator at brooke.yount@cottonwoodcreek.org / 214-667-7025. Booths are outdoor, 10'x10' and cost $75. Applications are available here and are due by July 18, 2015 at 4PM (extended). The application process will be juried. 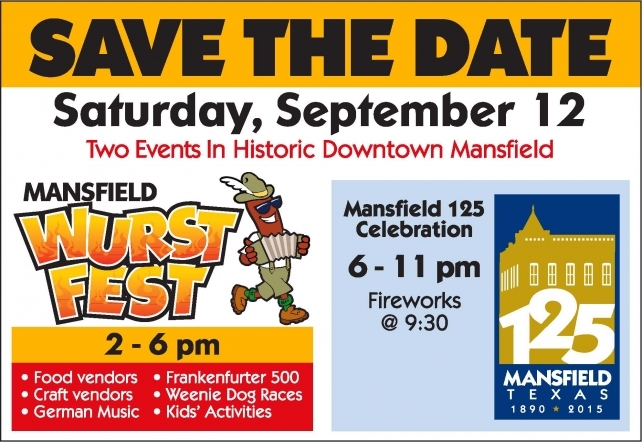 All prospective vendors must submit an application, they will all be reviewed, and vendors will be hand selected to participate in WurstFest-Mansfield 125. Submission of an application does not guarantee a booth. For more information, visit their website or contact their event coordinator at mary.jones@mansfieldtexas.gov for vendor related questions, and contact Angie for event questions at angie.henley@mansfieldtexas.gov. "We can't wait to see you at the Jingle Bell Bazaar! Now in its 2nd year, we've expanded to host more vendors, give you more room to shop, and will have a swag bag for the first 250 attendees! Join us November 7th and 8th at the Richardson Civic Center in Richardson (411 W. Arapaho Road)! For more info and a sneak peek at our vendors, check out www.jinglebellbazaar.weebly.com!" Early registration from June 26 - July 22 - $135. Standard registration from July 23 - August 20 - $155. Booth price includes one (1) six foot table, two (2) chairs, and inclusion of materials in 250 attendee swag bags, a $25 value. It also includes advertising of your logo and any specials you may be running on the event site. **Looking for handmade and vintage now. Direct sales and jewelry spots are all FULL. This is a juried show so application doesn't necessarily guarantee participation. There are swag bag opportunities for vendors who aren't able to participate in the show for $25. Duplicate vendors are not allowed, however. Booth space is 10' x 8' - $125. This fee includes one 8'x32" table, if requested. This fee also includes access to electricity areas, if requested. Early display setup on Thursday, October 8. Security overnight on Friday, October 9. Applications are available here email application and are due by September 14th, 2015. For more information, visit their website or contact their event coordinator at SeasBazaar@gmail.com / Toni at 214-336-4468.